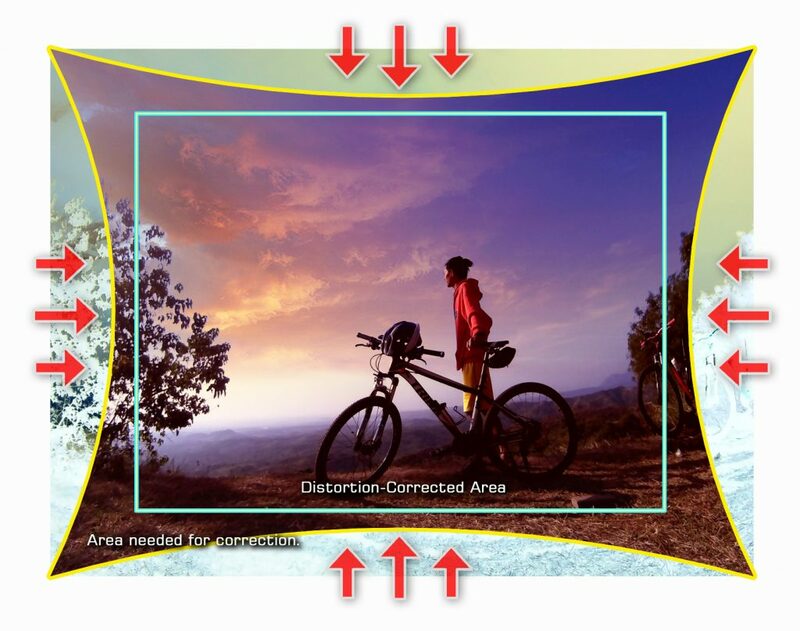 Gyro Stabilization, Distortion Correction, and FOV (Field Of View) are three things most people get confused about for usage. Most cameras of today have some version of these features, including that of smartphones, which are undoubtedly catching up fast with pro-level cameras. Some of the things that many people ask about are how they correlate to each other since they don’t exactly line up when those functions are used. So why can’t you activate all of them at once? Let’s see if we can explain them to you in the simplest way possible, without getting too technical or too much into details. Gyro Stabilization, AKA “EIS” or Electronic Image Stabilization, Anti-Shake. This is a method of making the video less shakey. If you’ve ever seen the “Blair Witch” movie, yeah, plenty of the footages used are so shakey it’s almost vertigo-inducing, and most of the times (if not always) difficult to watch. Well, they’re made that way on purpose. And that’s the complete opposite of what Gyro Stabilization does. 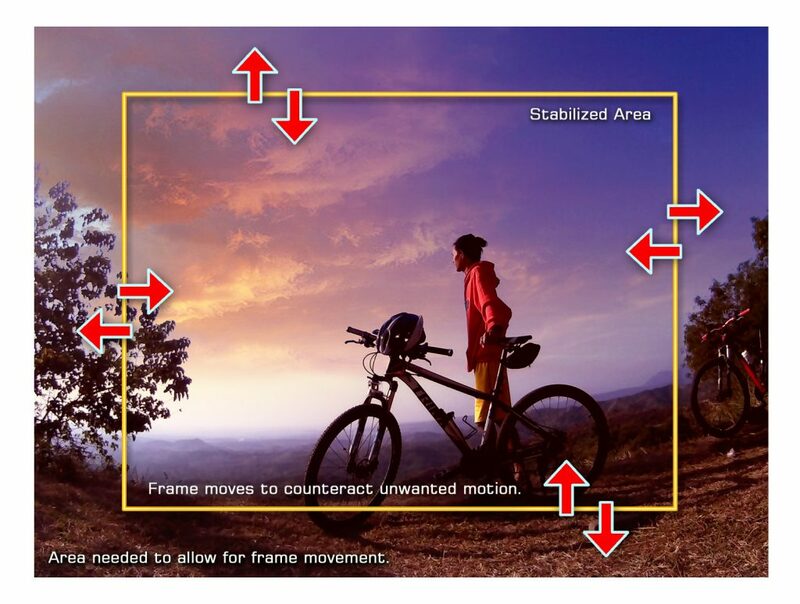 Note: The other version of image stabilization is OIS (Optical Image Stabilization) where the camera’s physical parts actually do the moving to correct motion. Currently not on any SJCAM models. Distortion, in the field of photography, is something observed as either a bulging or squished effect in images. For SJCAM cameras, it is what appears like the image is viewed through a glass ball (AKA “Fisheye Effect”, Barrel Distortion). 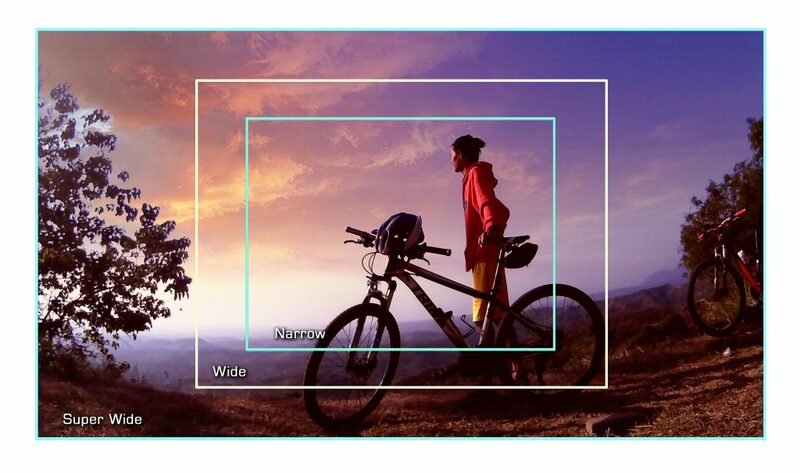 This is caused by trying to fit as much view of the scene into the lens tube and onto the camera’s sensor, and is very characteristic of action camera photography. Distortion can be corrected digitally through the camera’s processor in real-time, or much later, through post-processing using a computer. Everything that is included in the recording, which is either everything within sight of the sensor, or, just a selected portion of it (crop). If you change to a narrower FOV, the camera will just crop a portion of the whole frame, and show that part on the recorded image. Wait, isn’t that like Digital Zoom? Yea, it’s pretty much the same. Reason why I didn’t mention it in the title is that it is essentially the FOV function described above. Unlike optical zoom, which has moving physical parts to control how light refracts in the lens to get “closer” to the subject, digital zoom is a real-time variable crop of the actual image seen by your camera’s sensor. The resolution stays the same, just that the sensor’s pixels are blown up to fill the image for recording. Now, since these 3 highly helpful image manipulation techniques are in some form or another a “crop” of the original image that the sensor registers, current technology can only effectively process only one, or at most, two, at the same time. This is the same reason why in the menus you will see some of these features greyed out: they just can’t co-exist well for the reasons shown above. It’s like asking for someone to dance, and not move at the same time. Perhaps in the future we might get all three functioning all at the same given instance (4, if you include digital zoom), but until then, you will have to choose which one you want to prioritize and choose that feature for your purpose. Hope that this has enlightened you about how those 3 are related. If you have questions, please head over to the community forums and post them there. We would love to hear from you, join us THERE now! BIG THANK YOU FOR BEING THE AWESOME PEOPLE THAT YOU ARE!